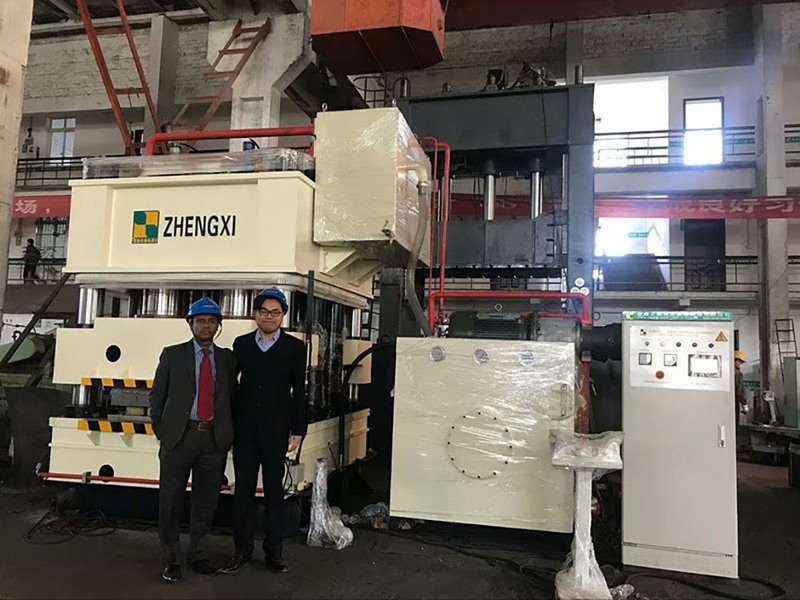 The 4200 ton eight-column door embossing hydraulic machine body adopts an eight-column structure, which has good guiding performance and precision guarantee characteristics. The main cylinder is in a six-cylinder arrangement, which makes the work evenly stressed. PLC programming control. Photoelectric protection around the fuselage to ensure personal safety. 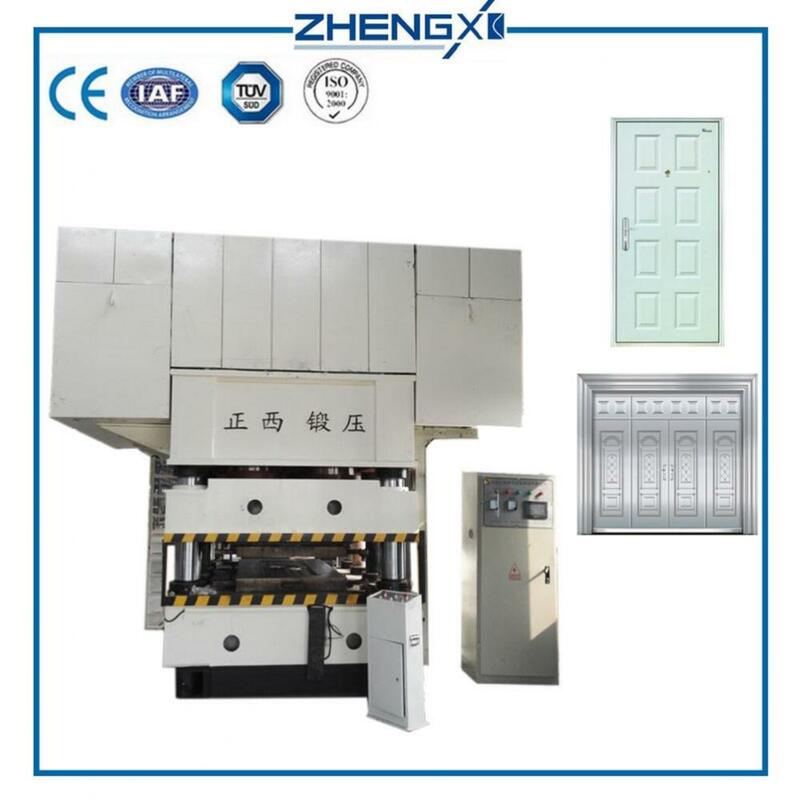 The 4200Ton double-action door embossing machine designed and produced by ZHENGXI HYDRAULIC MACHINE MANUFACTURING CO., LTD. is a special hydraulic machine for anti-theft door, steel-wood door, interior door, stainless steel door and large iron door. This machine is suitable for all major security door manufacturers and steel wholesale. Market, stamping all kinds of flower-type anti-theft door panels, stainless steel door panels, interior door panels, it has the advantages of fast, safe and reliable, energy saving, beautiful products, low cost, etc. ● The host structure is optimized by computer and has a progressive level. 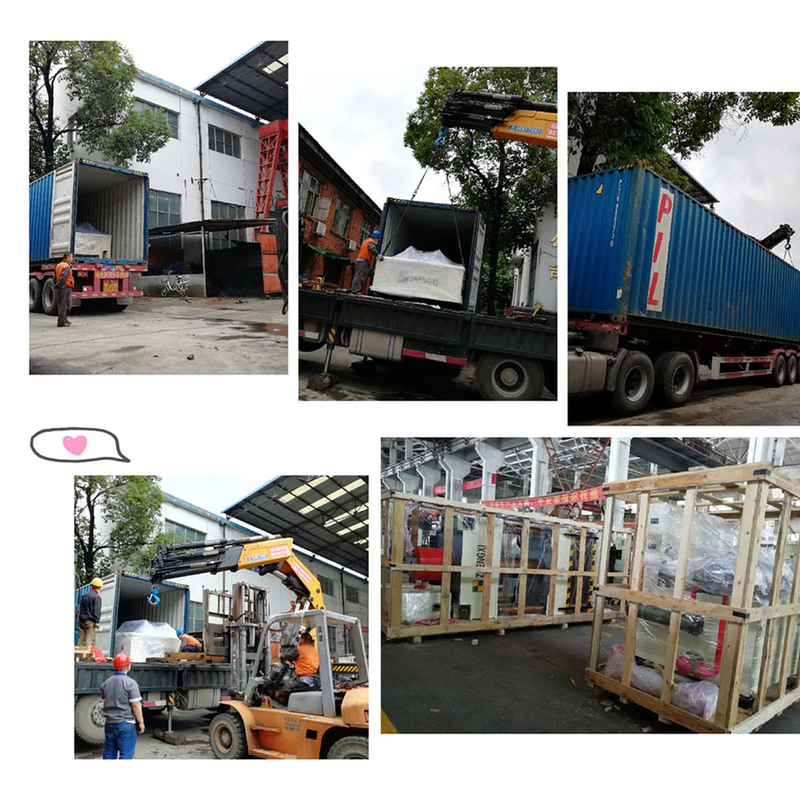 ●The three beams of the machine tool are welded components, which are all tempered by the fireplace. 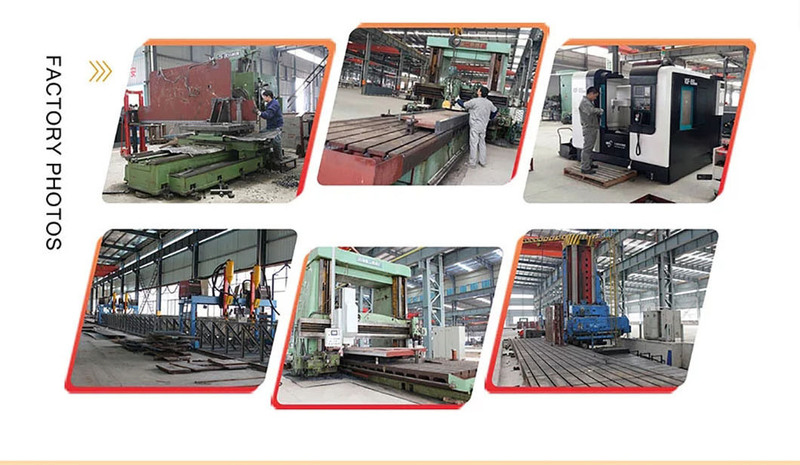 The large-scale CNC floor boring and milling machine is processed with good precision. ● New cylinder sealing components, high reliability and long life. ●The idle speed and working speed can be adjusted according to the customer's process, which improves the quality and production efficiency. ●Working pressure, the stroke can be adjusted according to the process requirements within the specified range, and the operation is simple. ●The fuselage adopts multi-column structure, the surface of the column is chrome-plated after tempering treatment, the strength is good, the hardness is high, and the wear and tear are resistant. ●Adopt displacement sensor or non-contact switch to improve the reliability and accuracy of stroke control. ●Adopting safety protection measures such as light type, two-hand operation and multi-channel alarm. ● Machine, electricity and liquid integrated safety devices with superior safety. ● PLC control, work sensitive and reliable, flexible. ● According to the needs of users, the machine can be equipped with feeding mechanism, limit mechanism, manipulator and other auxiliary mechanisms, and can provide users with frame-type facade embossing machine. Looking for ideal Hydraulic Embossing Press Manufacturer & supplier ? We have a wide selection at great prices to help you get creative. All the Hydraulic Embossing Machines 4200Ton are quality guaranteed. We are China Origin Factory of Door Embossing Machine. If you have any question, please feel free to contact us.